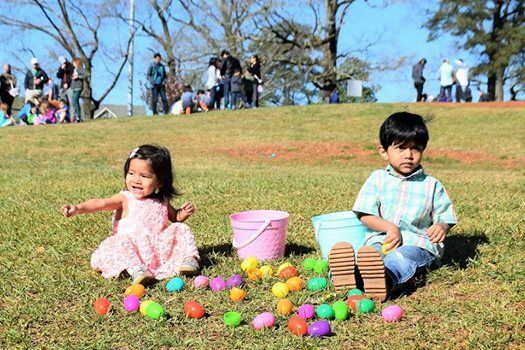 The City of Brookhaven’s Parks and Recreation Department is hosting its annual Easter Egg Scramble on Saturday, April 20, from 9-11 a.m. at Blackburn Park, 3493 Ashford Dunwoody Road. “We invite all families to come out to Blackburn Park to experience this great Spring tradition,” said Parks and Recreation Director Brian Borden. The event is free to the public, there will be food trucks offering breakfast fare at reasonable prices, and the Easter Bunny will be on hand to pose for photos. Egg hunters will be split into age groups (3 and under; 4-6, and 7+) with separate areas for each. 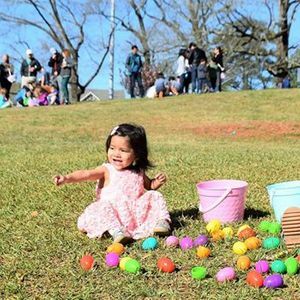 There will be a special musical performance to delight the youngsters at 10 a.m. by the Brookhaven Innovation Academy Chorus and the egg hunt begins at 10:30 a.m. sharp. All those wishing to participate should bring their own basket to use when gathering the Easter eggs. Mark your calendars for the popular event and bring the kids to enjoy the day and pose for photos with Peter Rabbit!